The deadline for Early Bird offers of EURIE 2018 – Eurasia Higher Education Summit is 31st of October. The offers are covering up to 10% discounted attendance fees as an exhibitor and more for the visitor in addition to reserving your place at the Summit by now. You are highly recommended to hurry up for registration on EURIE before you miss this chance! Head over to our official EURIE website or e-mail us right now! 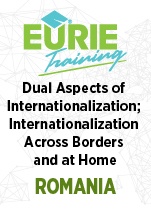 EURAS is proud to announce another ‘EURIE Training’ event! Post successfully held EURAS Academy in Iran and high demands on EURIE Training in Romania (details above), EURAS is organizing a new event for Turkish Universities. EURIE Training for Turkish Universities on 7th of November, will be hosted in Istanbul Aydin University. Underlining the importance and vitality of internationalization for universities, EURIE Training is expecting any Turkish university that hopes to participate. Admissions are already online and could be received through the form in our official website or via e-mail. Coming to an end of another month and almost reaching the end of the year 2017, rings the bells of EURIE 2018 sound closer. Along with every passing day, a new speaker is joining with their highly valuable topics to already long EURIE 2018 speakers list. Anthony O’Malley from Saint Mary University, William Lawton and Saskia Jensen Goldsmiths from University of London, Olivier Chiche-Portiche from Campus France and many more has joined recently and we are very excited to have more of such talent and experienced members as speakers. Feel free to gaze through our list of already confirmed speakers for EURIE 2018 by clicking here. If you would like to be among this great list of peers, please send us an e-mail at [email protected] . We will be delighted to host you as a speaker on Eurasia Higher Education Summit 2018! An interesting project by Golce Delcev University: How to motivate students love maths? Sapienza University of Rome, which is one of our valuable members, hosted an Erasmus+ Contact Seminar between 18th and 19th of October. The seminar had no empty seats with over 250 attendants mostly from other EURAS members and higher education institutions from program countries in Europe and partner countries from Southern Mediterranean Countries. 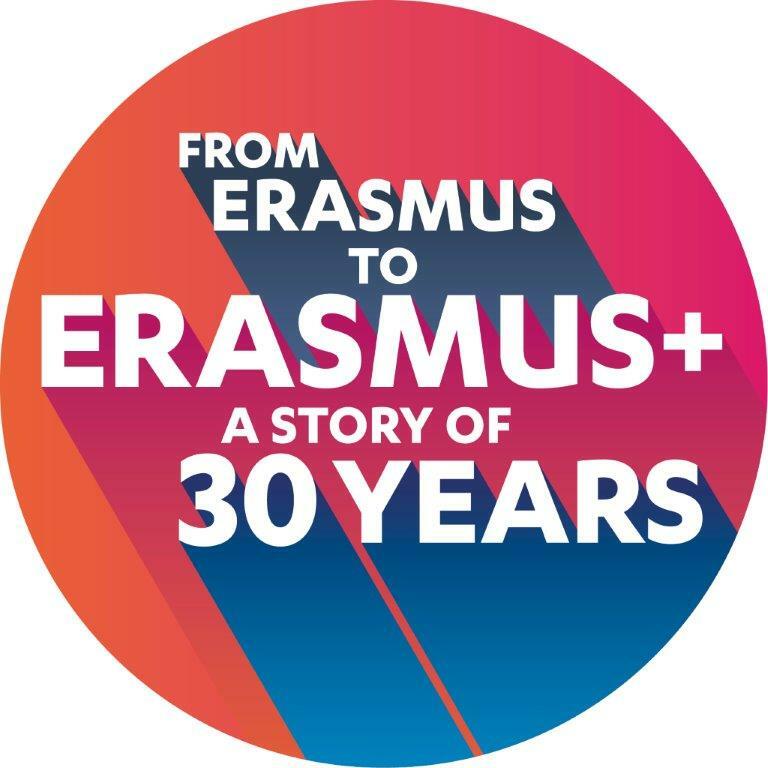 Erasmus+ Contact Seminar offered the opportunity of network and finding new partners within the attendees, aiming to stimulate and increase the number of successful applications under the 2018 Erasmus+ Call for proposals. We would like to thank European Commission for the organization and Sapienza University for their well greeting and hosting us as well as organizing such a fruitful event. This year's UNIMED General Assembly, "For a new Mediterranean of Knowledge", will be held at University Paris 1 Panthéon-Sorbonne on 30 and 31 October 2017. During the second day of the General Assembly, five different workshops will be held: Challenges for the UNIMED Subnetwork on Food and Water: priorities in Euro-Mediterranean research; Refugee Education: Sharing experiences in cooperation with IAU UNESCO Chair in Cultural Diplomacy, Governance and Education; Doctoral Education in a changing World; Interreg MED Programme: an innovative system of cooperation among different stakeholders for a more integrated Mediterranean; The Horizon 2020 work plan for 2018-2020 Euro-Mediterranean Cooperation in Research For further information, please visit the General Assembly page. Belgrade Banking Academy – Faculty for banking, insurance and finance is the institution of higher education founded on great experience of a huge number of university professors, scientists, experts and entrepreneurs in the field of banking, insurance and finance. Its concept, organization and methodology justify the title ‘School of excellence’. This is the faculty which would provide banks, insurance companies and other financial institutions with well-educated experts. As Belgrade Banking Academy, we provide education so as to create qualified, well-educated experts capable of dealing with all types of modern banking, insurance and financial operations, with the respect of academic freedom, high standards and achievement of maximum value for total students efforts and workload. We are delighted to have Belgrade Banking Academy within Eurasian Universities Union. We are eagerly looking forward to our future cooperation.